Students at these schools dig the cap-and-gown look. Cornell graduates eagerly await the beginning of their post college lives. Pursuing a degree is great and all, but let us not forget that it’s also important to actually, you know, obtain it. According to data reported by the Chronicle of Higher Education in 2010, the following private and public schools saw the highest percentage of students graduating in six years or less. Read on if you like the idea of getting into school and then actually getting out with a degree. These graduates are joining an alumni network that includes Michelle Obama and Al Gore. At 92.7 percent, the University of Virginia (UVA) has the highest graduation rate of any public college in the U.S. Read: not only will you have walked out with a degree; you’ll have saved some money doing it. Pretty smart of you, huh? Nearly all Yale University students can expect to graduate, 96.3 percent of students graduate in six years, and they seem to have been sold on staying from the beginning: the school has an astounding 99 percent freshmen retention rate and ranked on The Princeton Review’s list of colleges with the happiest students. Sounds like an expensive and academically rigorous good time. A highly religious college in Pennsylvania, Valley Forge Christian College (VFCC) graduates a full 100 percent of its students in six years or less. Apparently having the fear of God put in you can do wonders toward getting that degree. With a hundred percent graduation rate, no wonder these VFCC students are so happy! In 2012, University of Notre Dame (ND)’s football team became the first to receive a number one ranking in both the Bowl Championship series as well as the NCAA Graduate Success Rate figures. They also ranked in the top 70 to 80 percent of the NCAA’s Academic Progress Rate, a survey that measures players’ academic performances. Graduating properly, drinking aggressively, and throwing a football with confidence – is there anything the Fighting Irish can’t do? Not only do 95.7 percent of Princeton University students get a degree, they also get a world-class education – this school has whatever magical ingredients it takes to have been named the best university in the country by U.S. News and World Report. Kudos, Princeton – we’re sure that’s no small feat. This private school in the Bay Area maintains an impressive 100 percent graduation rate. Lincoln University, Oakland was the first college in the world to grant admission to African American males (writer Langston Hughes became an alum in 1929.) Now that’s an integrity-rich school if we’ve ever seen one. 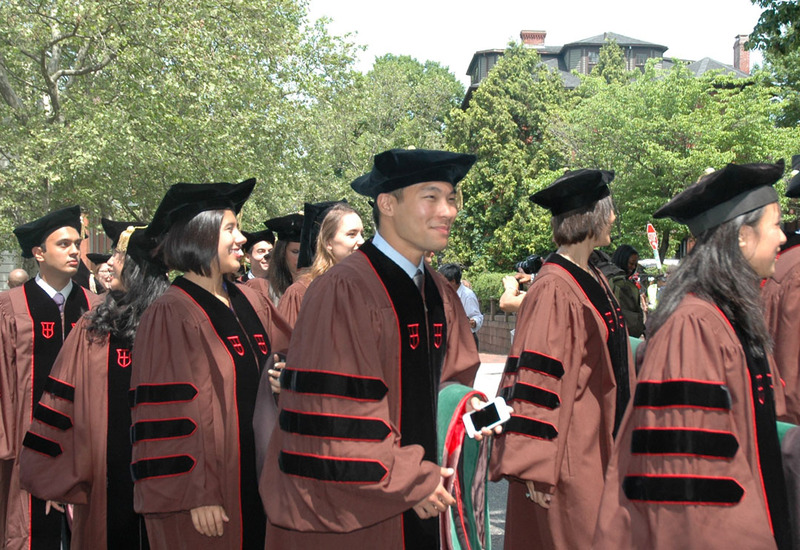 With more than 245 years of high graduation rates, Brown has a lot to be proud of. Previous: College Matching vs. College Rankings: Which Matters More?